I am a PhD candidate at James Cook University studying ways to enhance mosquito-borne disease surveillance. My PhD focuses on using mosquito excreta to detect mosquito-borne diseases such as Ross River virus, West Nile virus and malaria. 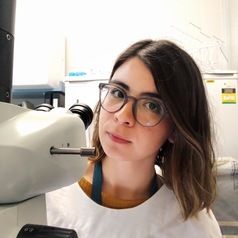 Before starting my PhD I completed an undergraduate degree in Biochemistry and Microbiology at Universidad del Valle in Guatemala and a Master of Science in Tropical Animal Health at the Institute of Tropical Medicine in Antwerp, Belgium.